Greetings everyone. I wish to make a couple of announcements. First, after careful consideration and evaluating where things are at, I’ve decided to aim for releasing the book in time for June. This way people can enjoy it as part of their Summer reading. As a result of this decision I’m declaring the Kickstarter a failure and ended. Mind you, I am not angry or upset by this. In fact I think it may be a blessing in disguise. I will have more time to rework the book and possibly have some Beta-testers read it to get a better idea how my unpaid team and I do at getting it edited as best we can. If there still seem to be a lot of problems, then I may try another Kickstarter or find another way to raise the money for a professional editor. I’d like to take this moment to thank everyone who did pledge to the Kickstarter. The Kickstarter was not going to succeed, but I do appreciate your belief in me and your support. Remember “THE SHIP” is still coming. I am not giving up on it. I’m just giving myself more time and breathing space to get it in the best shape possible. Stay tuned for more updates in the coming weeks. ALSO: I will be appearing in an anthology being printed over in England soon, so I’ll keep you all appraised about that as I hear more on that front. Thanks for your attention and support. Take care and keep writing everyone. Well gang, I’ve got one week left in my Kickstarter for getting “The Ship” professionally edited. Right now it’s sitting at 55% funded. $330.00 have been pledged, but there’s still another $270.00 needed to make the goal. Will it happen? I don’t know. If it doesn’t, then it’s back to the drawing board and try to do the best I can with my backup team and the release date will be pushed back again. Not my favorite option, but whatever will be, will be. If you want to make a pledge there’s still 7 days left. No monies change hands unless the goal is met. Remember, pledging is like reserving your own copy of the book. Everyone who pledges will be receiving either an e-version or a paperback depending on the level you can pledge. Well, with 2 weeks left, it looks like my Kickstarter is going to fail. Really bad timing on my part I’m afraid. I’ve gotten a number of compliments on the video I did for it. But, it just wasn’t the right time to do something like this. So what’s going to happen if it fails? Simple, I’ve assembled some more people I can trust to help me edit the upcoming book ourselves. My current Beta-readers are telling me they’ve seen a big improvement in my writing style compared to my first novel. They say I’ve matured and the editing problems they’ve seen are much fewer. I seemed to have learned a lot from my first go and they are still reading the first draft. So, that says a lot I think. One of them is a published author and is going to come and stay with us in January and we’re really going to go over the entire 2nd book and do some serious editing together. I hope the final result will be really pleasing to all. To the editor I had lined up, all I can say is. We’ll see what happens on the next one. I still want to work with you, but finances are just not going to let it happen just yet. Fingers crossed that the efforts me and my team put in help to make “The Ship” a big success. In the meantime, here’s the link for the Kickstarter. After all there’s still 2 weeks left. If it happens great, if it doesn’t, at least you all know I have a back up plan. Enjoy the holiday season everyone. First off, I hope you are all finding many ways of enjoying the holiday season. I know things get hectic around this time of the year and it can get stressful. So I hope all you are finding joy an comfort in family, friends, cartoons, music, etc. I know there’s a lot going on for everyone at this time, which means I screwed up. This was definitely not the right time of year to have started my Kickstarter. Unfortunately, three’s not turning back because once a Kickstarter’s been stared you can’t hit a pause button and then restart it at a later date. Once it’s been set in motion you have to let it run its full course regardless of whether or not it looks like it will succeed. In my case, the Kickstarter is not doing well and looks like it might fail. I set mine to run 45 days, and with a third of that time already gone I’ve gotten only 2 pledges totally $30. My goal for funding the editing job for the “The Ship” is $600.00. Again, I’ve only got myself to blame if it fails. A part of me knew darn well that the holidays are a tough time of year for everyone. I’m a full believer in families coming first, especially at this time of the year. However, I’m not despairing just yet. I’ve still got 29 days left in my Kickstarter, which means it does not come to an end until January 11th. With that in mind, I’m still hopeful that I can reach my goal. I’m just glad that no actual money has changed hands. That’s the way it works with Kickstarters. Pledged money is only collected at the end of the time frame, and ONLY if the goal is met. If there aren’t enough pledges then no one is out of pocket. No money is collected and the person who created the project has to go back to the drawing board. I learned this only recently myself, when I pledged $5.00 to a project that failed to make its goal. Nothing was charged to my card and all I lost out on was a project gift for supporting them. That’s one of the nice things about Kickstarter gifts, you get at least something for your investment. In my case, a pledge is basically placing an advanced order for a copy of the book in the format of your choice. $2.00 – an advanced PDF copy of the book, several weeks before it is made available to the general public. This format is great for people without e-readers, because you can read it on your laptop or desktop computer (just make sure your unit can actually read PDF files first though). $10.00 – first edition Trade Paperback copy of the book. *There are higher levels of pledges offered which you can find on the Kickstarter page itself if you’re interested, I just wanted to post the simpler easier ones here. I know there will be folks out there who wish to help, but can’t even afford to spare $5 or $2, and I say “God bless you and thanks for thinking of me”. If you still want to help, then please just spread the word about my Kickstarter to others and that in itself could wind up making a huge difference. The link to the Kickstarter us just below. Thank you all for reading and sticking with me, and let me finish by simply saying “HAPPY HOLIDAYS to you and yours!” Enjoy the season and stay safe. My Kickstarter is now active and ready to be visited folks. 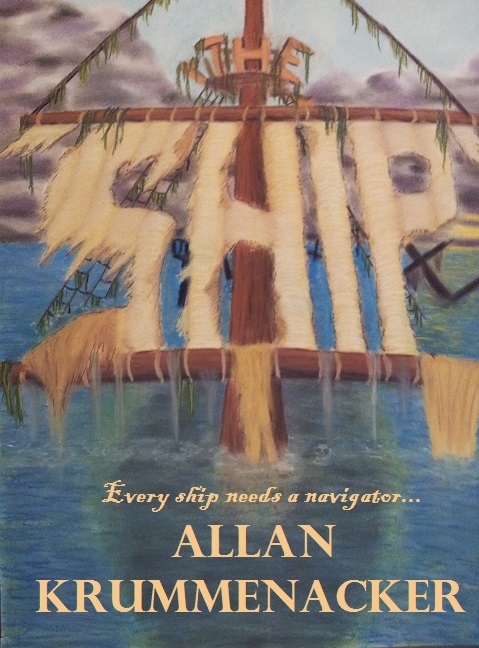 Remember, all funds raised will be going to the editing of “The Ship” and any extra pledged monies will be going to get “The Bridge” professionally edited so I can put out a new proper 3rd edition. I have some nice thank you gifts for those who donate, so please come check it out and/or help spread the word. I’ve only got 45 days to make this happen. Naturally, I’ll be making more videos and posting updates on how things are coming and possibly adding more thank you gifts as time goes by.